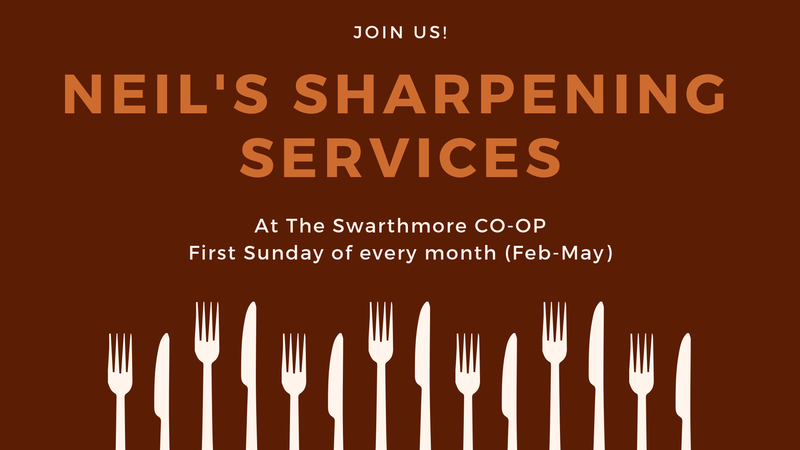 Neil’s Sharpening Service will be at the CO-OP. Bring your knives, scissors, and garden tools for sharpening while you shop. See you at the CO-OP!